You must make reservations at least 5 minutes in advance of the time at Christie's Seafood & Steaks. Made to order the old fashioned way - with heavy cream and seasonings! The poor experience started with the restaurant acting like our reservation was only a notional idea, not an actual reservation. After waiting 30 minutes for our table, we had extremely slow service. Our server seemed totally uninterested in serving us. I talked with the manager, who also seemed uninterested in what happened. The food was tasty but the attitude ruined the meal. 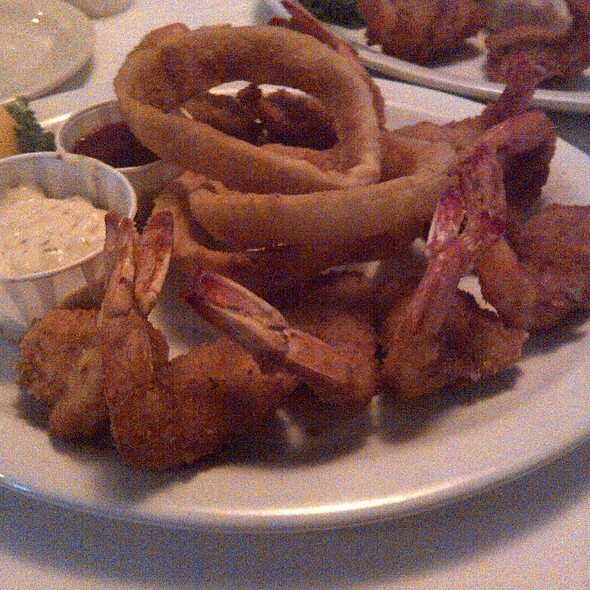 The fried shrimp are some of the best in Houston. They always use the freshest ingredients and have excellent service. Always a treat when we know we are dining there. Best seafood in town!! Been coming to Christie’s since I was a little girl and the food is still delish. Best service !!!! Great place to have seafood! Been eating here my whole life. Food was great, the mark up on the wine was appropriate. The quality of the meal was outstanding! The place is getting dated, but it’s okay. I look forward to coming to eat here again. The Athenian Tilapia was the best I have every had in years. In a town with soo many choices, especially seafood, we have forgotten about Christie's Seafood, but after our meal Saturday night plus our exceptional server Christina, this restaurant will be at the top of list going forward. Thank you making our son's birthday memorable. Christie’s is great as usual! We were in Houston on business and made a last minute reservation on Valentine’s Day. The restaurant was crowded, but service was great! Food was delicious. We will definitely go back! Even though we were very early for our reservation the hostess greeted us with a smile and showed us to our table. The food was great as well as our server. Food was delivered to our table in a timely manner. First time here and will definitely go back. It is the best fried shrimp 🍤 in Houston. 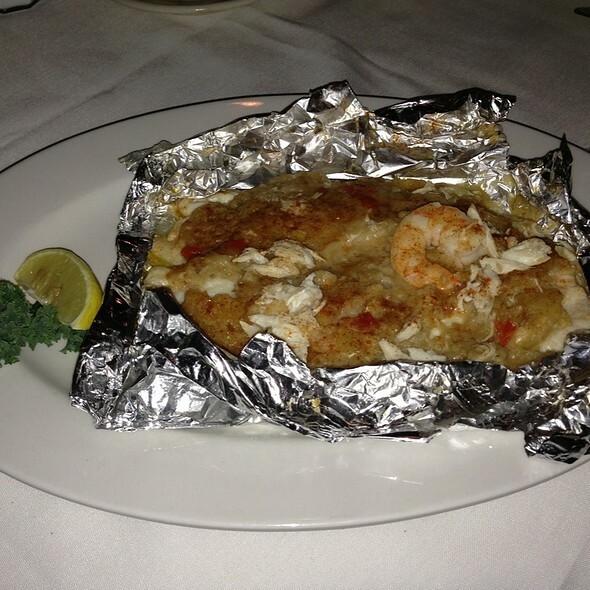 Still large shrimp cooked with the family secret and served by a great staff. Yes it could be called old school - but it works & the family should be proud! The Greek salads are also tasty. I am sure that there are other items on the menu - but when we eat here it is for the salad & FRIED SHRIMP. Best oyster stew. We loved the fish cooked Greek style. We will be back. They have the best shrimp and stuffed shrimp anywhere! The salad is crisp and cold! The Gulf raw oysters are the so fresh and delicious. The portions are large, we were able to make at least 2 meals out of it. Amazing service. Better than any 5 star restaurant. Excellent food and will return. Food and service were fantastic. Was able to meet Maria, what a true gem!! Excellent experience!! There were ten of us. Service, etc. we’re excellent. Sad to say I will not return even tho I went there since the 80s (altho not for a long time until this dinner). The food was ok, nothing special. The restaurant, inside, looks like it needs to be renovated; it looks like it is out of the 80's or 90's. The service was a little lacking as were left with empty glasses, with no refills until we asked. For seafood, I think Babins is the better value. Enjoyed my birthday. They gave a beautiful cake with fresh strawberries and beautiful decorated birthday plate that it was on. Maria Christie visited with us, she was so nice telling us all about the great history of the restaurant and her family. She made us feel so welcomed. Look forward to our next visit. The best fried shrimp in Houston!!! If you have not tried it- you are missing out. It is an older crowd - but that just means that it is a great place that has survived time. You can talk to your companions while enjoying dinner. 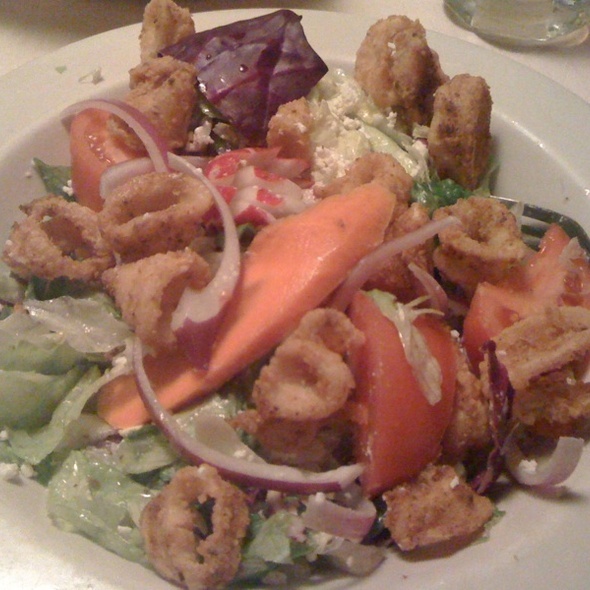 Try the Greek salad. They know how to do that also. Yes there are a-lot of seafood places in Houston. But for a fried shrimp treat go here. I am sure that there are other favorites... but for us -a dozen fried shrimp, 2 onion rings & fluffy baked potato- is the best. On a business trip to Houston, the food was so good that I went back for more the second night! It was an older restaurant but it was very decorated with the boat/fish theme. My husband and I both ordered the Beluche. 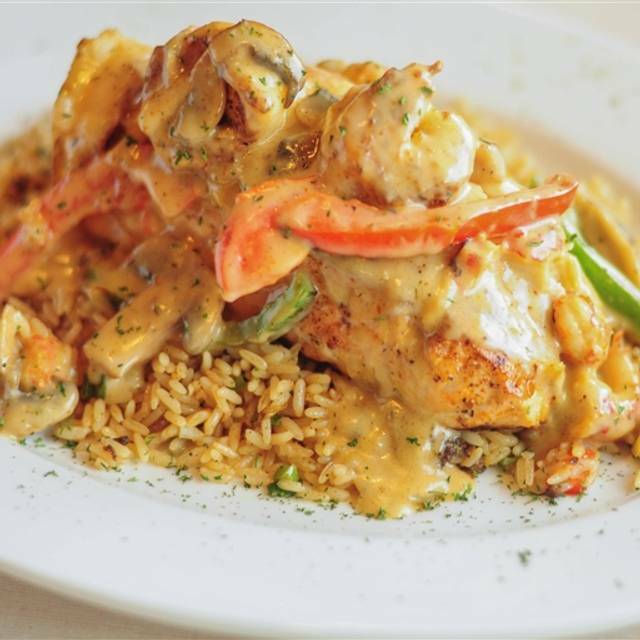 It’s red snapper with a creme wine sauce and shrimp. The sauce had no flavor. It was as if they just poured some cream of chicken on it minus the chicken. The snapper was a thin fillet. We both ordered the augratin potatoes which were also very bland with thickly sliced potatoes. Our waiter brought us out green beans instead which were better. They bread was good. All in all we payed $70 for fish we did not enjoy. The atmosphere was also that of an older crowd. We were one of the youngest couples there and we are no spring chickens. LOL Even with that if the food was good, I would go back but it just wasn’t good. The food was terrible. The shrimp tasted like it was frozen out of a box. The onion rings were bland. This restaurant may have been around since 1917, but it's time to close down or get a new chef. Good food decent atmosphere wait staff was a little slow but for the amount of food we ordered it was necessary. Probably the best value of many meals we've had in Houston. Oysters on the half shell were tremendous. Old family owned place, nice and quiet for conversation. 1955 inside. Drinks were weak. The gumbo was average, stuffed shrimp crab dressing way too undercooked, couldn’t eat it. Fried shrimp hot and crunchy, nice coating and each was large. Caesar salad was outstanding, complete with anchovies. House made Remoulade not impressive at all, more like mayo with a little bit of spice. Very disappointed in that. Au gratin potato side was just like gramma used to make, cheesy and mushy-would be better if there was some tooth to the potatoes. Overall this is an adequate place to dine if you are with older folks that have hearing issues in loud restaurants, and frankly, who doesn’t these days. Was looking forward to trying this long standing restaurant. So disappointed in everything. Only acceptable item we had was the marinara that accompanied the onion rings and the bread. Baked potato hard, augratin potatoes tasted like chemicles, trout was over cooked and flavorless Overpriced and the waitress was borderline rude and inattentive. Will not return. Josh and I went here for his birthday, we participated in the Houston Restaurant Week for the 3 course meal for $35 per person. We both started with the Gumbo, it was delicious, they had my favorite crackers, the toll house butter crackers. He opted for the Seafood Platter with the stuffed crab (not a fan of), fried catfish and fried shrimp with a side of fries and I got the 6 oz steak with the shrimp on a bed of rice. Everything tasted very good and I even had some to take home to our Cairo. We both got the key lime pie for dessert, it was amazing, the whipped cream was just right and the crust was just yummy. 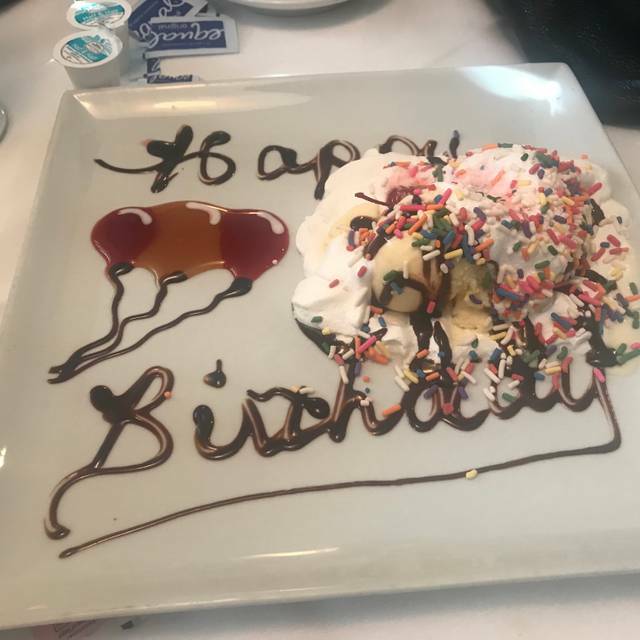 Overall, we spent about $82, we were very happy with the food and service, would definitely come back for a special occasion! Great variety in the sea food. From general fried to baked fish n shrimp to crab balls and sirloin to die for. We will be back! We had heard about Christie's and wanted to try them. I like lemon drop martinis but found theirs to be very bitter, our meals were ordered off the HRW menu and the fried seafood was very good but my husband said his beef tips tasted old and were tough. He didn't enjoy his meal. The service was a bit slow. On a positive note if you like fried seafood you would enjoy it. The building has a older style to it and adds to its history. 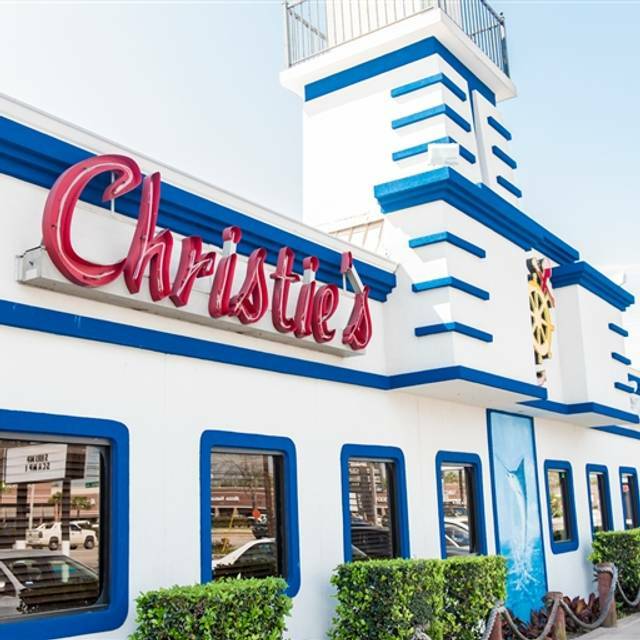 Every restaurant has its charms and Christie's is no different and we highly respect the restaurants that participate in Houston's Restaurant week they are amoung the best Houston had to offer. Give them a try and see if they are for you.